An often overlooked aspect of your vehicle’s maintenance, the health of your tires is of the utmost importance when it comes to the overall health of your vehicle. Tires in poor condition can lead to poor fuel economy, uneven wear, and even accidents. Team Ford knows the importance of having tires that are in top condition, which is why we want to impress it upon you. To ensure that your Ford is performing at the level the engineers in Dearborn had in mind, Team Ford is offering exceptional deals on tires—just another reason why we are Edmonton’s premier Ford dealership. When you buy a set of four tires at Team Ford, not only will you have no payments for 6 months, you’ll only be paying what’s fair. Team Ford is a huge dealership, constantly moving inventory, which means we can afford to competitively price our tires. Not only are our prices competitive, but signing up for a (free!) Go Card means you’ll receive an extra 10% off, with 5% of the purchase value going right back on your Go Card for you to spend the next time you need parts or service. We also offer a free 2-year Road Hazard Warranty, free lifetime flat repair, and free lifetime tire rotation. Lets see the competition match that! Between our seemingly endless winter, and summers full of construction work and potholes, we know that your tires can take a real beating. We also know that you might not recognize when you need a new set. We want to make it easy for you—so visit us and one of our factory certified-technicians today at our Quick Lane and we can help you out, no appointment necessary. Want to do a little investigative work online beforehand? No problem. You can find tires and other parts via our Tire Center. We also know that tires can take up a lot of space, which is why we offer tire storage as well.  Competitive pricing, incredible benefits, and a real interest in the well-being of you and your Ford is what makes Team Ford Edmonton’s top Ford dealer. So give us a call, or stop by today and we can get you set up with a new set of tires—both you and Ford deserve it!